Brain Today: Is "Mini-Stroke" a Misleading Term? As our population simultaneously ages and becomes more obese, poor cardiovascular health has driven the incidence of certain medical conditions ever higher. 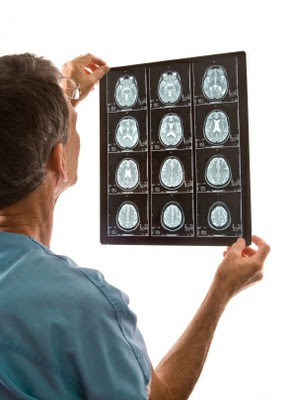 For example, general awareness and acceptance of transient ischemic attacks, alternatively known as TIA's and mini-strokes, has risen notably over the past two decades. While awareness of medical conditions and the risks that cause them is generally a good thing, a false comfort, based on a perception of "good medical outcomes", can be quite dangerous. Sticking with the example of TIA's, the tone of much public discourse on such a clear symptom of severe cardiovascular disease, has been somewhat benign. Because "mini-strokes" are common, and immediate outcomes are often fairly good, we may be developing a false notion that a mini-stroke is a minor occurrence. On the contrary, a mini-stroke is a serious sign that immediate, medical attention is needed. A recent study published in the journal Stroke showed that lingering disabilities, following a mini-stroke, are highly prevalent. In fact, about 15% of patients who had a single TIA had lingering disabilities after three months and, for those who had a series of TIA's, more than half (53%) had lingering disabilities. More importantly, TIA's are a major warning sign of an underlying problem that could lead to a much bigger stroke and major debilitation of the brain. While the symptoms of a small stroke may fade quickly, immediate medical attention is still required. Ignoring such events could lead to dire consequences including death. The term "Mini-Stroke" may connote an insignificant event, but the evidence suggests that any stroke is serious, and the concept of "mini" might be misleading in terms of its health-related consequences. The older the patient is, also, the more likely he is to not have any further diagnostic or treatment intervention. For some reason the idea that surviving a TIA or stroke with a disability could be an unnecessary and preventable outcome hasn't penetrated the brains of far too many family MDs.